The Nistec Center Company from Petah Tikva has won the 1st place in the 2018 National Quality and Excellence Award Competition. This is the highest award given to companies in Israel that is signed by the Prime Minister. Among the judges’ reasons regarding their decision: deep social involvement, aspiration for excellence and a high response capability to the customers’ needs. 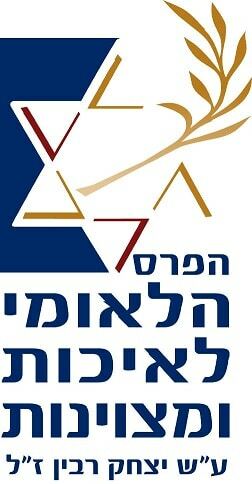 Leading companies in the Israeli market partake in this prestigious competition, named after Yitzhak Rabin of Blessed Memory, which is held annually and is considered one of the most significant competitions in the business sector. The criteria by which the contenders are examined focus on quality and excellence processes, social involvement, treatment and attention provided to people, strategic planning, results over time and more. Nistec Center passed several stages until reaching the finishing line and winning the 1st place. In their reasons regarding the decision that was taken, the judges pointed out, inter alia, the Production Plant´s spirit and its aspiration for excellence, its high capability to respond to its customers’ needs and the Company’s deep social responsibility. The National Quality and Excellence Award Competition is held in conjunction with the Prime Minister’s Office and is carried out in accordance with the Government’s resolutions regarding the promotion of quality and excellence in Israel. The judging criteria in the business sector are based on the criteria of the Malcolm Baldrige National Quality Award (MBNQA) awarded in the USA (the prestigious Baldrige Award), and they refer to: leadership for quality, strategic planning, focusing on the customers and the market, focusing on human resources, actual results over time and more. In the ceremony that will be held, during 2019, the Company’s Managers will be awarded a Certificate of Appreciation signed by the Prime Minister, Mr. Benjamin Netanyahu. “It will be a great honor for us to receive this prestigious award ”, stated Yitzhak Nissan, CEO of the Nistec Group, “The achievement we gained in such a national competition is not that obvious and it expresses the high personal quality existent in the Production Plant. My compliments to our dear Managers and employees who climb daily another rung on the ladder of excellence”.